How to Fix “Wifi connected but no internet access” Windows 10? 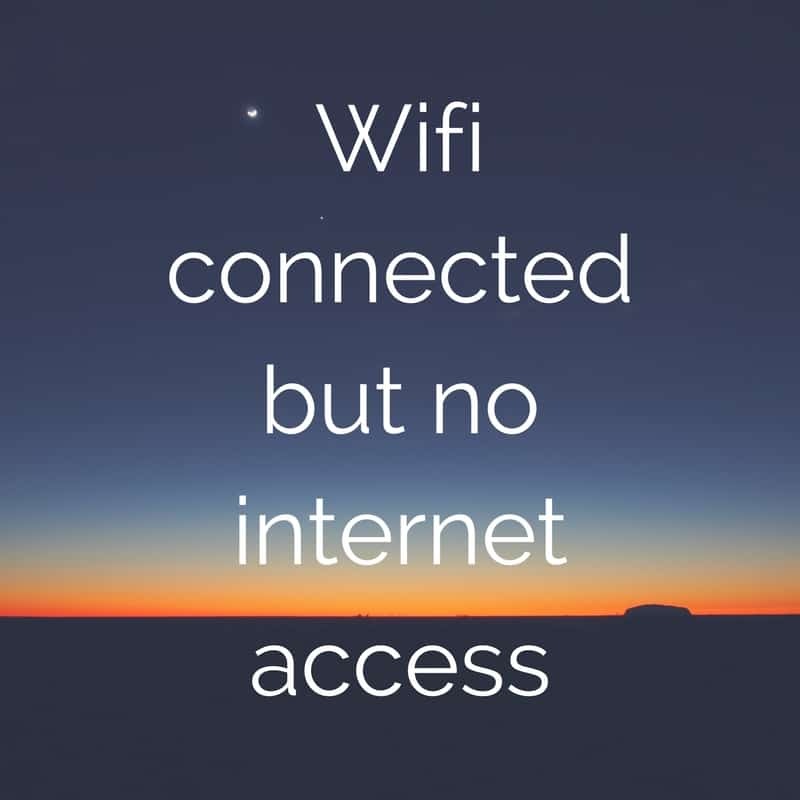 Many times in your computer running windows 7,8,8.1 or 10 or mac os, your wifi is connected but no internet access is there, and you might be getting message that “Connected to wifi, but no internet access”. It is very irritating to have your device connected to wifi but still not be able to access the internet. Don’t worry, here on our blog, we will give you solution to your problem and you will be able to access internet just like normal. This problem has been in exist since a long time and many times we are connected to wifi but not being able to use internet, can’t send whatsapp messages or can’t do our important work. There can be many areas where you should look at if you want to know the cause of this problem and fix it. Here, in this post, we have mentioned where the problem can actually be and ways to fix it. Many times this problem can be fixed only by restarting the router or the internet modem. So, try once switching off and again back on the router and modem and see if the internet works after restarting it. Go to run by pressing windows key + R.
Enter devmgmt.msc in search box and press enter. Expand network and right click on wireless device and select “uninstall device”. Now, it will re-install your wireless drivers. Thus, any problem with your wireless drivers will be fixed. You may want to read about akamai netsession interface on our site. Open start menu search for cmd and press enter. Type command ipconfig /flushdns and press enter. That’s it, your DNS cache will be flushed and emptied. Now type all these commands one by one and press enter. Obtaining IP address automatically have solved the problems of internet access in many cases. Click on your Wi-Fi(your name) near Connections. In wifi status box, click on properties. Click on “Internet protocol version 4 (TCP/IPv4)” and click on properties below. Check Obtain IP address automatically. Ignore if it is already ticked. Restart the router and check if your internet is working. If it still is not working, click on use following DNS address and write 8.8.8.8 and 8.8.4.4 respectively which is google DNS. This solution will fix the problem if the problem is related to DNS (domain name service). Sometimes, wifi has been disabled from binary operating system, in this case, you need to enter BIOS and set it as default, then log in again and go to “Windows Mobility Center” through Control Panel and you can turn the wireless adapter ON/OFF. That was it for the post. We hope these solutions for wifi connected but no internet access worked for you 🙂 Tell us in comments which solutions worked for you 😉 Check out some of the best hunting games out there! Share this article on social media and support us. If you are having any problem or doubt, them comment below 🙂 cheers! After searching many tutorial I found this video and it is working to solve no internet access in windows 10. Thanks 🙂 Glad to help you out.